If you want a traditional gobo light look, you'll want to stick with your logo, monogram, initials or name on a black background. White or a warmer amber color look best. But because we utilize full color HD projectors, you are not limited to the traditional! You can project any full-color image you like. 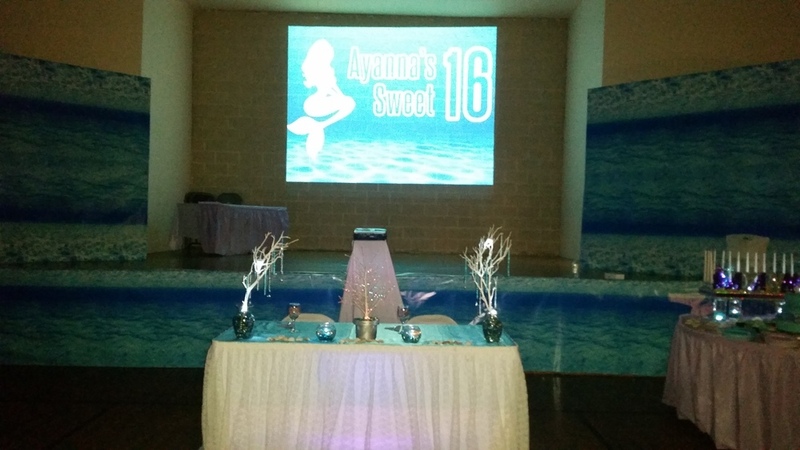 The photo on this page is an example of a custom image sent in by a client for her Sweet 16 party. Also note in this photo they used just a simple small table to set the projector on. This is the most affordable and easiest way to set it up.